Frases Brillantes - Bright Phrases. : NINGUNA PERSONA MERECE TUS LÁGRIMAS, Y QUIEN LAS MEREZCA NO TE HARÁ LLORAR. 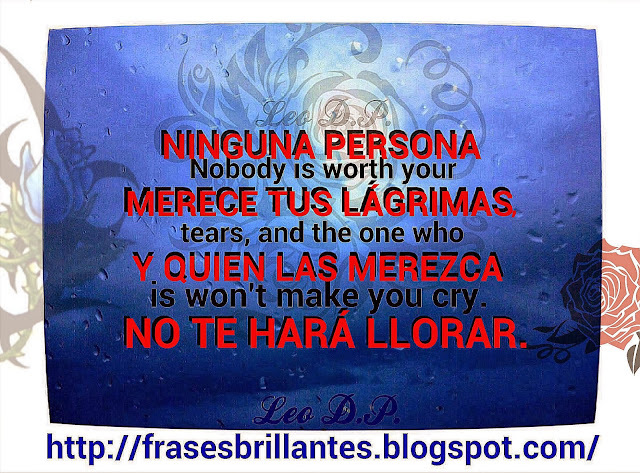 Nobody is worth your tears, and the one who is won't make you cry. NINGUNA PERSONA MERECE TUS LÁGRIMAS, Y QUIEN LAS MEREZCA NO TE HARÁ LLORAR. 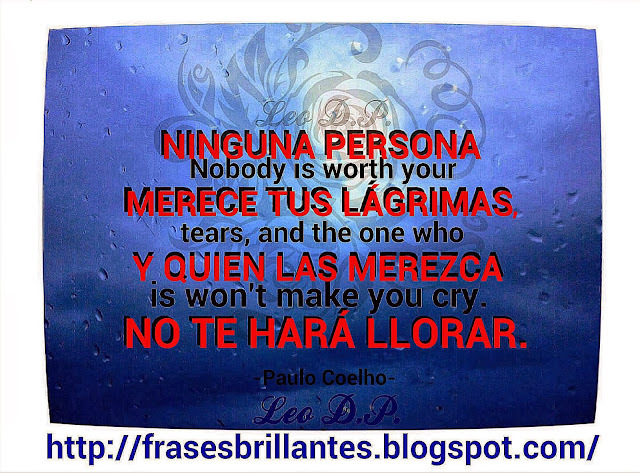 Nobody is worth your tears, and the one who is won't make you cry. Publicado por Unknown en 8:16:00 p. m.